We Have The Coast Covered! The Lake Huron shoreline consists of vibrant small urban areas, active cottage neighbourhoods and serene getaway locations. Whether its real estate or simply lifestyle you are looking for Ontario’s West Coast truly offers something for everyone. Regardless of whether you are a single person with an interest in hiking, fishing, golf, the beach and night life… a young family that is looking for an affordable place to spend family time or to just relax… or searching for that perfect place for yourretirement home in or outside an urban setting with full services we will match all your personal needs! We have provided a map and chart below to help you get oriented. Beneath that information we have highlighted each of the urban centres. By clicking on the community name you will be provided a downloadable document that provides a thorough description of the community, local area services, real estate market data including average home prices for 2015, as well as various options for you and your loved ones. This historic town is located in the Municipality of Bluewater, pop.7,044. The urban area is home to many year round residents as well as those who have made it their part-time home often looking for that perfect place to retire. Bayfield is also a popular tourist destination with its historic Main Street, quaint shopping and dining options as well as its gorgeous beaches and marina. A frequent host for many celebrities the town provides a welcoming casualness that is not often found these days. Cottage life and recreation opportunities are unlimited. Seasonal and year round homes make up this well cared for community. A wide range of home prices are available for every market as you can see in the 2015 information attached. If you love the water then you will fall for this lake side community. All the water activites you can imagine, hiking along the world renown Bayfield River Valley and playing a round of golf on any of the nearby courses are only a sampling of what can fill your days. While the large shopping chain stores are not part of the makeup you will not want for all of your day-to-day needs and you are only a few minutes from full shopping selection and all healthcare services. Check out the attached for more real estate information and useful area links! Known as Canada’s Prettiest Town this beautiful and historic community has a population of 7,521 residents. As a regional centre, Goderich is home to a wide array of shopping options, recreation and healthcare facilities, industry as well as an amazing beach front, Port and airport. The Portof Goderich is the only deepwater port on the east shore ofLake Huron. Servicing regional manufacturing, mining and agricultural industries, it is an important hub of commercial shipping in southwestern Ontario.The airport provides 3 runways, two paved and one turf. 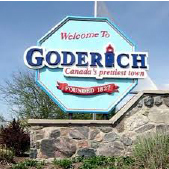 Goderich offers plenty of home options as well as assisted and non-assisted retirement accommodation. The Maitland River flows to Lake Huron at the northern boundary of the town providing a recreation playground for angling enthusiasts. The River Valley is internationally known for hiking, biking, bird watching anda high number of rare species and ecosystems. This vibrant hub community is a must visit location and the choice to raise a family or to retire. Please have a look at the attached information. 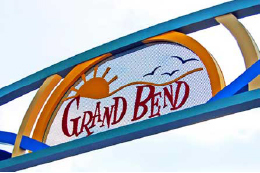 Grand Bend is locatedin the Municipality of Lambton Shores, pop. 10,656. While the community is well known for its beaches and nightlifecatering in part to the younger demographic, families and retirees alike flock to the town. The local government and its residents do an amazing job of providing equal billing of beaches and services regardless of your age or taste. This is truly an incomparable option for your home on the greatest of the Great Lakes. The Bend is the choice of many international celebrities who own their piece of paradise while still being able to live a discreet life. Home selection is as broad based as the demographics. Gated lifestyle communities, condominium living, river and lakefront homes for water enthusiasts, small traditional cottages to the finest quality modern houses all co-mingle in a potpourri that is perfectly unique. Quality resorts and golf courses make up part of the allure as does the Grand Bend Motorplex that each year hosts motorsport extravaganzas that draw a multi-national audience.You have no idea what you are missing if you don’t include Grand Bend as a Lakeshore Lifestyle option. First known as Penetangore, the community of Kincardine has a strong Scottish heritage. The first Bruce County post office opened its doors here. The first settlers arrived at the mouth of the Penetangore River in 1848 transported by the ship, “The Fly”. 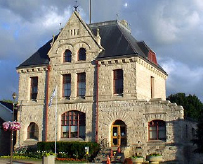 Kincardine is unique in that its history is a living, breathing part of the community. From its architecture to its lighthouse to the historic Walker House, it is visible everywhere. Today Kincardine boasts many treasured amenities waiting to be discovered. Idyllic surroundings, captivating lifestyle, festive events, and live theatre continue to amuse and beguile residents and visitors, keeping them coming back for more! The Scottish Annual Festival draws people from around the world.Kincardine is the gateway to the Sunshine Coast, the Bruce Peninsula, as well as Cottage Country. The beautiful shoreline provides excellent boating, fishing, and swimming. 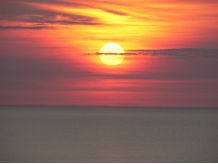 Several miles of sandy beach offer a great opportunity to take in the World Famous Sunsets. Your home selection can be as simple as a traditional cottage, elaborate as a historic mansion or as captivating as your imagine allows. Whether its as a retreat, retirement or for raising a family you will not be disappointed. Come be a part of this wonderful community! 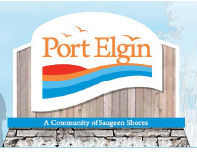 Port Elgin is the hub north of Goderich, hosting big box stores, theatres, dining and all kinds of sports. No shortage of housing options in this community. Condominium lifestyle is a popular choice with many available. New subdivisions are expanding to meet the needs of the growing community and there is a full slate of home types from traditional bungalows to ultra-modern multi-level to stone “castle-like” century homes. The commercial base is strong, with Bruce Power being the community’s primary employer with many supporting and complimentary business services. Port Elgin is only minutes fromseveral golf courses, birding festivals, beaches and Provincial Parks. You will even find the unique miniature 24 gauge train offering a kilometer-long tour along the harbour to Northshore Park. Beaches and boarding, bike trails and the Port Elgin Harbour offer water enthusiasts all they can imagaine. The harbour is full service offering seasonal and transient boat slips, fuel dock, pump – out and fresh water and shore power to docks.A popular summer beach and tourist vacation destination in Bruce County for many generations the community of Port Elgin is within the municipality of Saugeen Shores which has a population of 12,500 residents. A community of just over 3,000 within the municipality of Saugeen Shores is home to the shores first lighthouse on Chantry Island in 1859.Walk down Southampton’s wide High Street today and take in that special maritime feeling. With its old cottages, a fine sand beach, tasteful shops and the Bruce County Museum and Cultural Centre your time in town will be filled.Whether you are on the Saugeen River, the banks of Lake Huron or in one of many of the old or newly developed neighbourhoods or a fine gated-community your selection of homes and price range is vast. Quiet and peaceful is the essence of Southampton’s beach. If its recreation you are seeking you needn’t look any longer regardless of the season. The winter offers snowmobiling luxury, skating on the maintained skating loop at the nearby Provincial Park, crosscountry skiing and ice fishing to name a few. 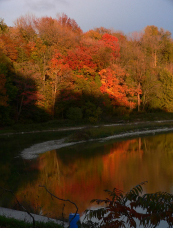 Canoeing, kayaking, cycling, birding, boat tours, fly fishing, hiking the Bruce Trail or just walking any of the hundreds of miles of coastline and sand will leave you wanting for the more relaxing recreation of dining and sampling some of the local fare from the largest cider producing region in Ontario. Whether it is for family or retirement Southampton is a great choice. Thanks for coming along on our tour! Give us a call if you want to visit our communities and get a first-hand look at what is offered. We can help you locate a place to stay if you want to overnight it as we know and work with many who would love to be your host. If you have any questions please join in our Open Forum by submitting your questions. If you already have some ideas and want to see a free hot list of what is available today just fill in the form below. There is no cost and no obligation only information. Our hope is that we can find you the ideal home or property to either fulfill your dreams or make the forever memories. We look forward to being of service to you. Take care and we will see you on the shore!